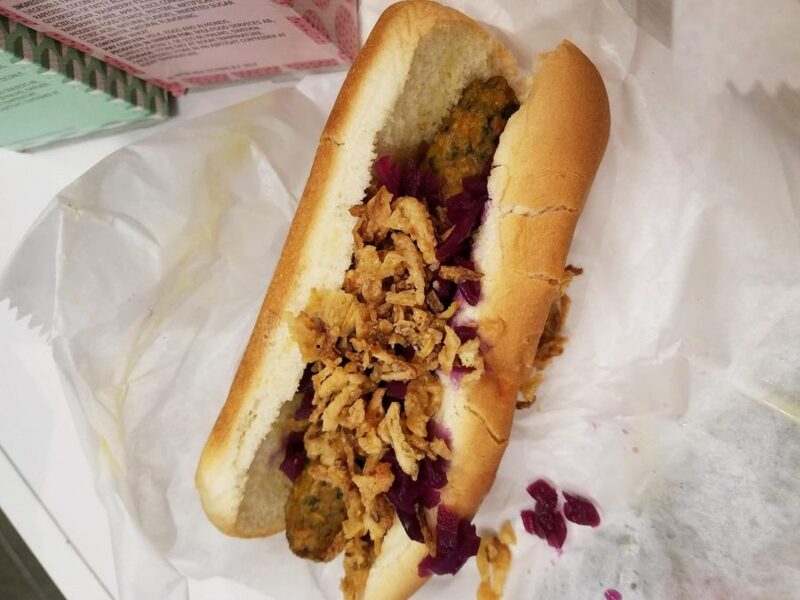 Owen Roche, opinions editor and vegan foodie, tried IKEA's new veggie dog. To be a vegan in 2018 is to be a creature of pilgrimage. We catch wind of a restaurant on the verge of adopting plant-based menu items and we immediately set to planning our trip. Word gets around that a store finally serves Beyond Meat burgers or a single dish without cheese, and there’s (metaphorical) blood in the water. We grind our herbivorous molars in anticipation. We tremble with equal parts excitement and vitamin deficiency. The hunt begins. Through the ages, the decision to travel vast distances in the name of an honorable cause has sparked the most influential human migrations in history. Some sought religious freedom, others a new life and a fresh start. Some went into the unknown in search of riches beyond their wildest dreams. I was looking for something to break the monotony of PB&J sandwiches for lunch. Leaning against a lamp post in front of Brooklyn’s Borough Hall, I imagined the cautious optimism and noble urgency within me must have been what my ancestors felt as they crossed the Atlantic. They put up with decaying, decrepit transport. I took the downtown A. They were hungry. So was I. Much like how early Man crossed the Bering Strait in his ultimate quest to survive and thrive on Earth, I journeyed to the most populous borough of New York City in search of one thing and one thing only: the new IKEA veggie dog. Introduced to America on Sept. 25, it joined veggie meatballs within the Swedish home furnishing Mecca’s movement towards plant-based eating and sustainability throughout the company’s offerings. As a seasoned vegan myself, I know that it’s a cruel, cruel world we live in, and all veggie dogs are not created equal. Some have uncannily-snappy casings, like the Yves Good Dog. Others maintain the comforting mushiness of Loma Linda’s canned Big Franks. Some are big, some are small; from seitan to vital wheat gluten, textured vegetable protein to just plain marinated carrots — I’ve given each dog its day. But the IKEA veggie dog could be different: a product of a company dedicated to giving its customers a veritable bang for their buck. This dog had the chance to lift my lunch to top-shelf eating — or shatter my expectations flatter than a POANG chair. My disappointment was evident the moment I set foot in the shimmering hospital-white confines of the IKEA cafeteria. I suppose I can’t accuse IKEA of lacking balls; after all, the meatballs were where they should be — where they always are. Their veggie alternatives were assembled in trays right beside them. The Dog, however, was nowhere to be found. Had I read the press release wrong? Was this specific IKEA refusing to serve the veggie dog? Was my pilgrimage in vain? I choked back bitter tears as I picked at my veggie balls, quinoa and mixed vegetables. Lingonberry drink did little to dull the pain of knowing I had come so far for nothing. I gathered myself and cleared my plate, safe in the knowledge that my food waste would be converted into biogas or something. I had to press on, to reach the checkout, to prove that I had reached the finish line with my ego intact. Countless tastefully-decorated (yet so unbelievably affordable!) house tours later, I trudged through the self-service furniture warehouse ready to go home. Like an explorer sent to uncover riches but forced to return empty-handed, I felt foolish to ever entertain this journey in the first place. No one takes the subway 12 stops for veggie balls. The checkout counters beeped mockingly at me. The sliding doors welcomed my defeat and the shuttle stood ready to put an end to my fruitless pilgrimage. Suddenly, I looked up — did my eyes deceive me? Was it an illusion sent from the gods to torment me as they did the wanderer Jason? No, friends, it was true — before my eyes danced a digital depiction of what I had sought after all this time. Of course! The IKEA Bistro, situated beside the Swedish Market and past the checkout lines, had the veggie dog all along. The hairnetted, grey-eyed woman who took my order seemed to know how far I’d come, and I must have been jittering with anticipation — and hunger, surely, after walking through the entire store. I received the warm, perfectly-assembled IKEA veggie dog in trembling hands and scurried to an empty seat, hunched over like some sort of goblin. I pulled back the paper wrapping and wept with joy. The dog itself is an exquisite combination of red lentils, kale, carrots and ginger, spiced to perfection to match the savory taste of its veggie ball counterpart. Its constitution falls into a sacred middle ground of satisfying texture, tenderness and completely free from the sneaking suspicion that one is eating something with any sort of “casing” on it. The veggie dog does not need to be contained, nor should it be. Its flavors, in tandem with the sweet pickled cabbage and crunchy fried onions that graced it like a delicious tiara, are what every dog, meaty or otherwise, aspires to deliver. 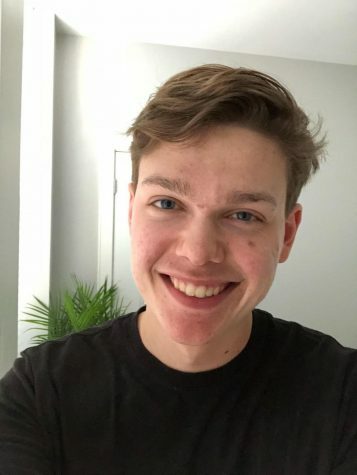 The peace of mind that one of IKEA’s plant-based offerings takes seven times less carbon dioxide to make than its meaty counterparts only heightens the euphoria of eating this divine dog. Great taste combined with moral superiority is a potent mixture, and IKEA treads this line with the utmost grace. I needed no printed instructions to properly eat the IKEA veggie dog. Like a screw into a perfectly pre-drilled hole in a KLIPPAN sofa, it went down easy. With a full stomach and arms laden with Swedish cookies for the road, I proudly made my way back home. My quest was a success. I plan to return soon — and this time I’ll know where to look. But until then, I maintain my solemn vow to relentlessly scour vegan cooking blogs and the Beyond Meat Twitter account, just as those before me pored over incomplete, unreliable maps of their time — always in search of the next pilgrimage.